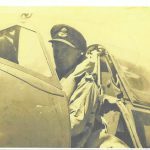 During the early days of the project the only history we were able to confirm was the delivery to 51 Maintenance Unit (RAF Lichfield) on 23-November-1944 and the subsequent force landing on 1-April 1945 by F/L Chris House. With the help of historians, authors, family members and museum archives over the last 2 years our research has been able to fill in the gaps and complete much of RB’s history. All new aircraft completed a series of acceptance tests by an active RAF pilot before being accepted by the RAF. After baling out of Typhoon MN527 ‘X’ on the 3-July-1944 and evading capture with the help of French Resistance Acting F/L Laurence ‘Pinkie’ Stark was on rest from operations as the test pilot at Gloucester Aircraft. On 16-November-1944 ‘Pinkie’ took new Typhoon RB396 for a 45 minute acceptance flight followed on the same day by a further 15 minute flight following adjustments. Note: ‘Pinkie’ went on to become the CO of 609 ‘West Riding’ Squadron and one of the most successful Typhoon pilots. On the 9-December-1944 Polish ATA Pilot Anna Leska-Daab delivered RB396 from 51 Maintenance Unit to RAF Westhampnett (83 GSU). This detail highlights some of the inaccuracies in the official RAF movement cards for aircraft, 51 Maintenance Unit were noted to have received RB396 on 23-November-1944 and 83 GSU were noted to have received her on 9-December-1944 all post the delivery flight noted in the pilots log book (a far more accurate record). RB396 was noted to have been taken on strength by 174 ‘Mauritius’ Squadron on 4-January-1945 (this may not be accurate as the only record of this date is on the aircraft movement card). RB was allocated as the replacement ‘W’ for MN141, pictured at a Forward Repair Unit (FRU) at Odiham in the Autumn of 1944, and was adopted by Canadian pilot Frank Johnson. Although pilots were not allocated and aircraft (until reaching the rank of Wing Commander) all pilots adopted an aircraft. Some may have requested an aircraft through superstition but Frank seemed to find himself flying ‘W’ most of the time and so adopted her purely through use. Frank recoded ‘W’ in his logbook on 33 separate flights from 13-January-1945 with the last entry on 28-March-1945, baling out of XP-F on the 30-March-1945 to become a PoW, logging just under 30 hours in her. 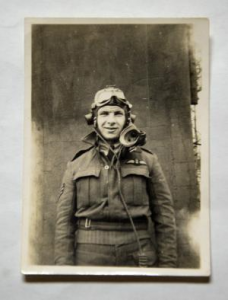 F/L Chris House flew ‘W’ the day after Frank was lost in XP-F and was hit by flak, force landing RB396 on the 1-April-1945, returning to the squadron a few days later. RB languished on the battlefield until moved to a scrap yard after the end of hostilities. 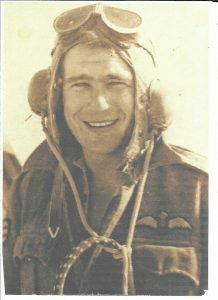 Chris House’ children have been in touch and very kindly supplied some pictures of their father. 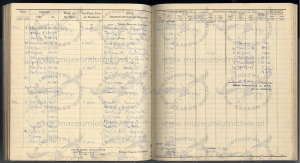 They still have their fathers log book and will hopefully be able to let the project have copies of these, perhaps RB was used by him on more than just her final flight of the war. 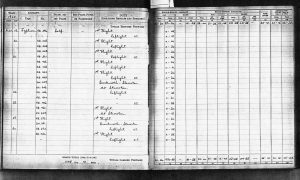 There may still be operational flights still to be uncovered, indeed Chris House may have flown ‘W’ on more than her final flight with 174, other pilots may also have flown her as there were several large gaps in Franks log book. Perhaps there were no operations during this time or Frank may have been rested for a few days and ‘W’ was taken out by others. 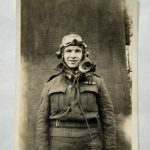 We would welcome any leads on other 174 squadron records which may supply more detail.